The new camera has the same resolution as the much-praised iPhone 4 but with some benefits added from the 4S and iPhone 5. With the same screen as the iPhone 5, the touch is a multi-purpose computer and game console that’s also excellent for music and movies. Because they’re all based on the same Apple operating system, iOS, the iPod touch, iPhone and iPad can all run the same apps. Hundreds of thousands are available, covering a vast range of purposes, and because they only come from the App Store, which is managed by Apple, you never have to worry about getting a virus or running a dodgy program that messes up your system. The iPhone 4 and 4S and the iPod touch 4th generation have a 3.5in Retina Display with four times as many pixels as their predecessors, though the iPod’s screen isn’t of quite such a high quality. 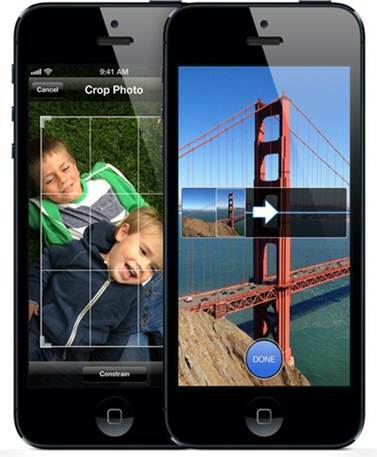 The iPhone 5 and iPod touch 5th generation share exactly the same larger Retina Display. The iPad 3rd generation similarly doubles the iPad 2’s resolution. Old apps that haven’t been updated for Retina run ‘pixel doubled’ on newer devices, while iPhone apps without an iPad (or ‘H D’) version run either at their intended pixel size, in the middle of the screen, or doubled in size. Apps that haven’t been redesigned for the iPhone 5 Display run at their original size, leaving black bars above and below. Retina iPhone apps won’t run on the iPad or iPad 2 at full resolution, even though the iPad has more pixels, but will on the iPad 3rd generation. Apps made just for iPad won’t run on other iOS devices. There’s little the 4S can’t do compared to the 5, so you could pay less by sacrificing the big screen. You still get a Retina Display, an 8-megapixel camera and Siri. With a fine but less impressive 5-megapixel camera and no Siri, the iPhone 4 is a cheaper option. The prices shown here are to buy an iPhone direct from Apple which is not locked to any network. You can then shop around for pay as you go or pay monthly tariffs. Buying an iPhone on contract will cost less initially, but you must keep the contract for 18 months or two years. An iPhone 4 or 4S or a non-CDMA iPhone 5 sold in the US will work in the UK, but check it has been or can be unlocked from its original network. The iPhone 4 and 4S require a micro-SIM, the iPhone 5 a Nano- SIM. 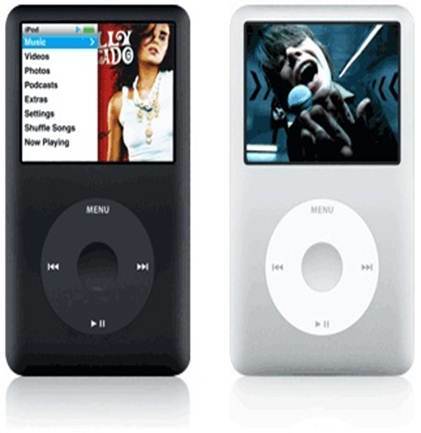 The 77×40mm 7th generation Nano comes with EarPods and plays music, video and photos. With no Wi-Fi connection, all content has to be synced from a Mac or PC. The Nano also includes Nike+, VoiceOver, and an FM radio with pause. With no screen, you navigate using the clicker while the shuffle speaks options and tells you what track you’re on.